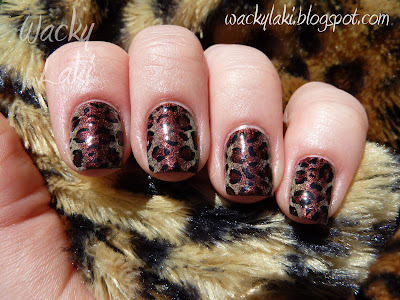 Now moving on to the manicure... For animal print challenge day 13, I chose to do a leopard print. 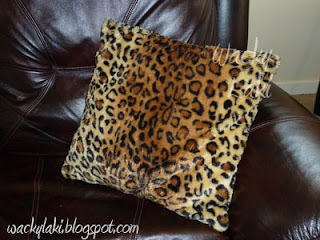 I was inspired by a couple of pillows my bf's parents gave me about a year ago. 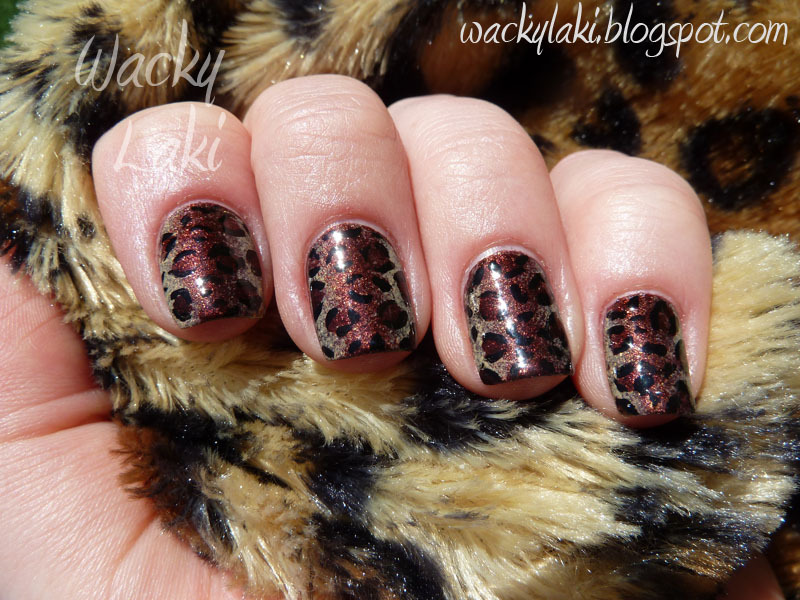 I'm really thrilled with the result especially since this is the first leopard print I've done! They're great! Beautiful! ♥ them! wow, amazing job. I love it. This is simply amazing! Love the colors and the stamp! Класс!!! Вот это профессионально сделано, просто великолепно! Wow!! This looks super cool and fancy~;D I LOVE it!! oh my gosh, this is fabulous! Good job! Okay... The more I spend on your blog... the more I need to try some of these looks! This is soooo INCREDIBLE!